I am so excited and honored to be joining Kim for this series! After Kim asked me to share my favorite room, I immediately thought I would share my kitchen. 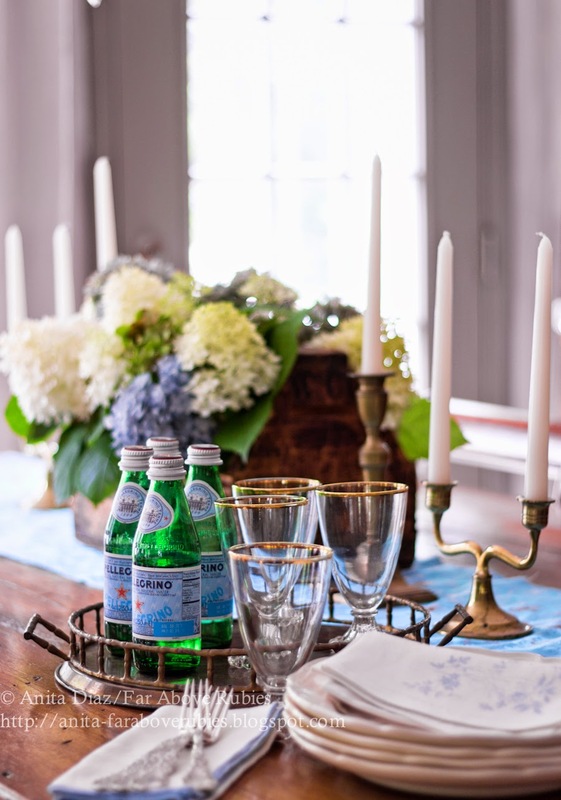 But then I realized my dining room is actually my favorite -- but you would never guess why. near the kitchen six years ago. We never had enough room, and since everyone uses those french doors as the main entrance, I had to come up with something. Since I have an open floor plan and long, narrow living area, I decided to play musical chairs and move my grand piano here where the dining space was. Then I moved the dining table here to this area since there was plenty of room at the other end for the living space to move when the big piano was taken out. I thought about it for several years before I did it, but I am so glad I took that chance, because not only do I love how it looks, it functions as a dining area much better here. 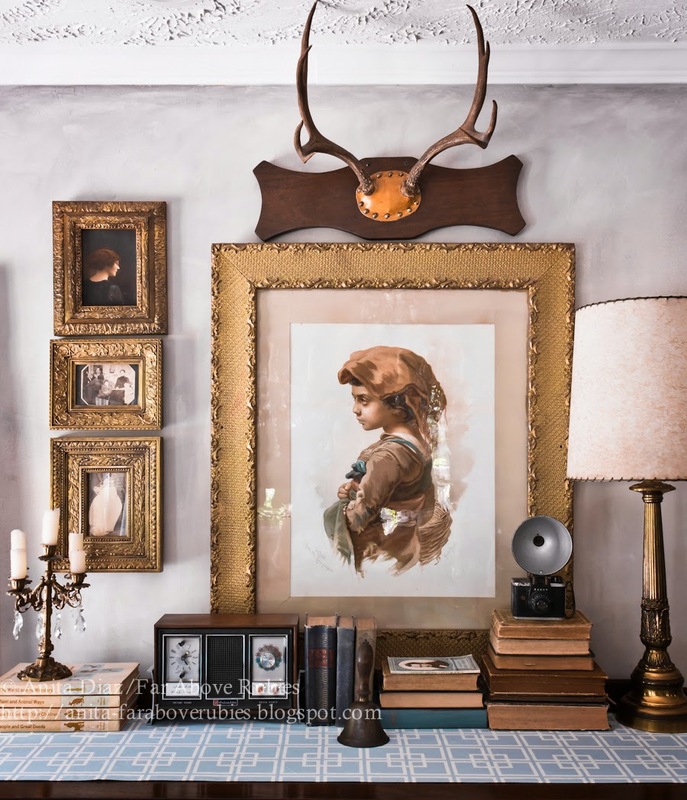 My style has definitely changed in the last few years as I have found a more vintage/country vibe by using family heirlooms and treasures I find around the property, which has been in my family for five generations. Because I couldn't commit to this as a dining space at first, I hung these candle chandeliers over the table. I have recessed lighting, so I didn't need light and they really help define the space. 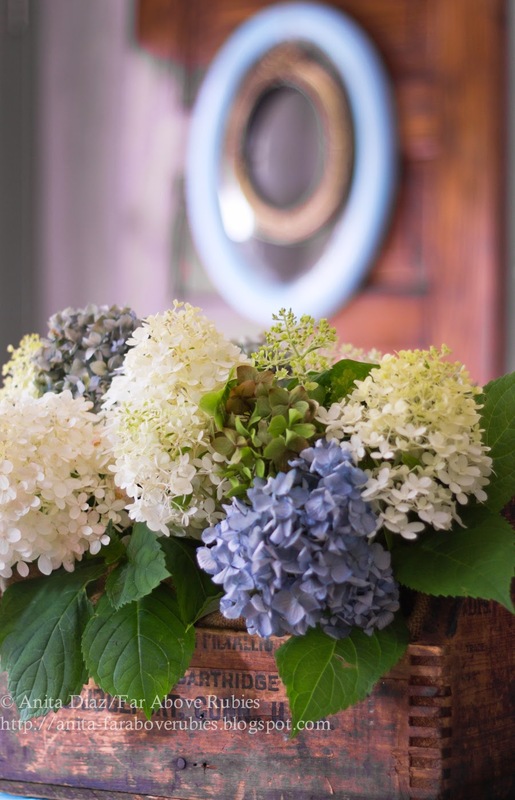 Not only do I enjoy decorating with family finds, but I also love to change things out seasonally. I took out the pink and went with aqua blue for summer when my mother gave me the antique chinese silk fabric, which was passed down from a relative. 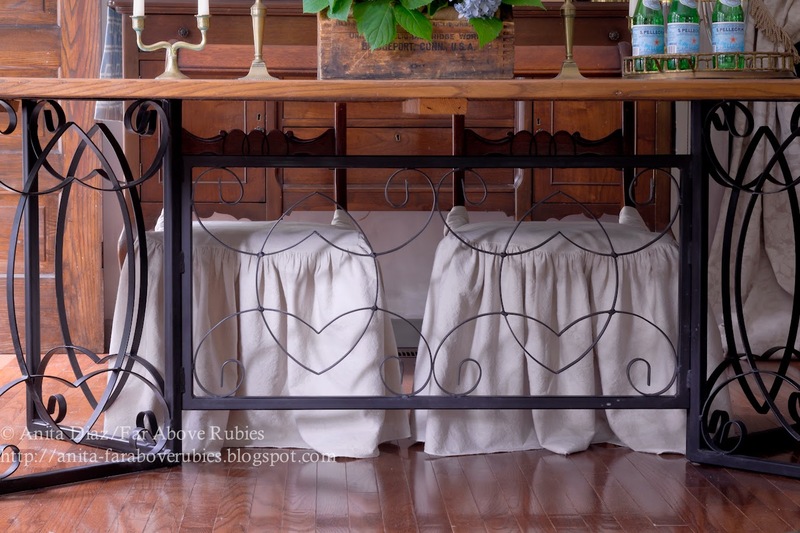 To keep so much vintage from feeling too old, I used a more modern fabric for the buffet. I brought out all my brass and gold to warm things up. 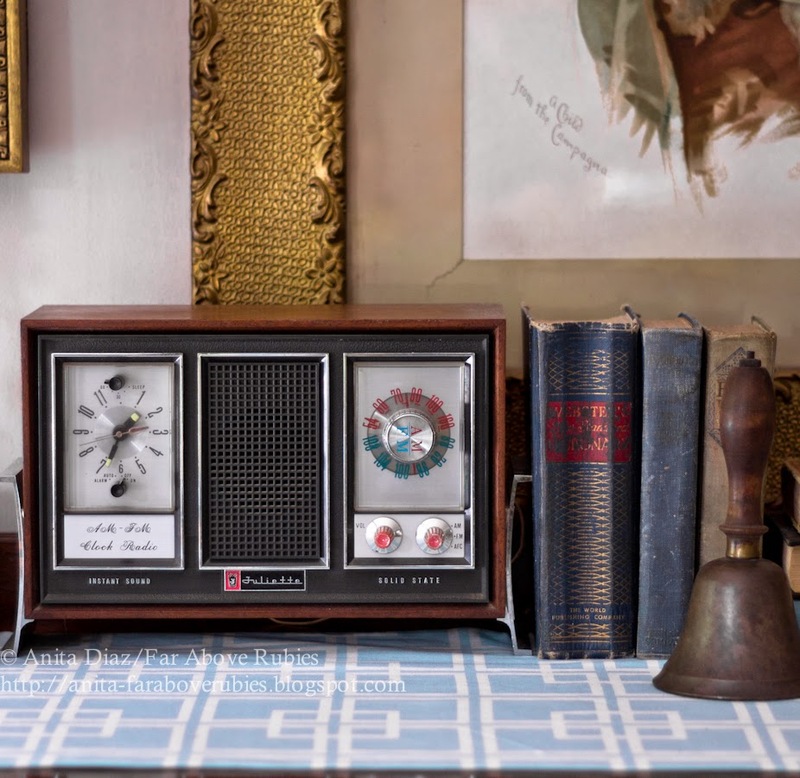 Since the kitchen is so close, I really wanted the buffet to have more of a library feel than dining room, so I have accessorized with my grandfather's old books, a 1965 radio, and family photos. Yes the radio works and we actually use it a lot. It was a $15 flea market find. My dad's old camera was buried underneath tools in his shop. My grandmother disliked this antique print so much, she kept it in the basement. Originally, there was a regular door here, but since this is just a side porch and entrance that no one ever uses, I changed out the door for a French door we had on our storage/playhouse. I am so glad I did as it overlooks the creek and lets in lots of light. 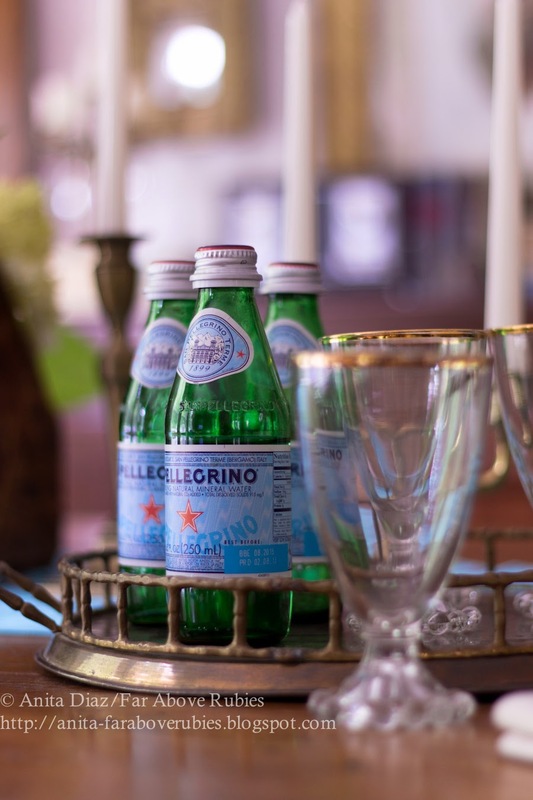 The focal point of my dining area is the table. 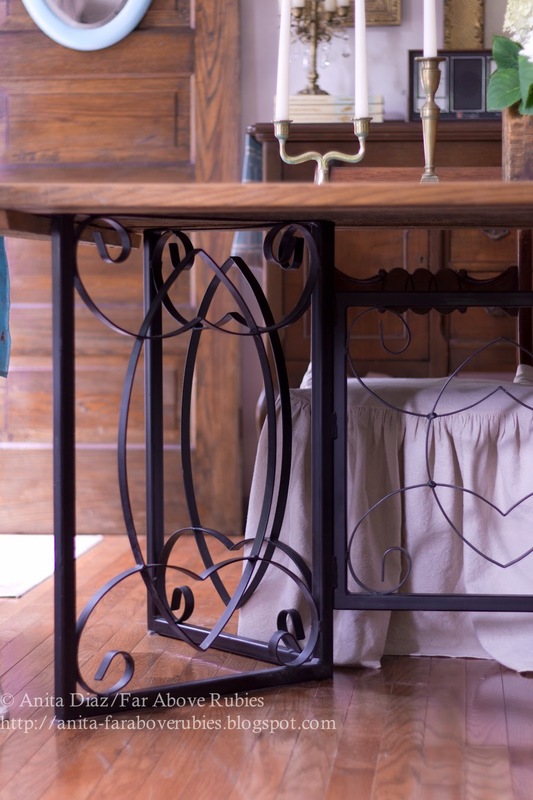 I designed the base about 10 years ago and had a local craftsman make it for me. I made the top from wormy chestnut boards off one of the original houses here. It was my first big DIY project, and one that I am still proud of. It has held up to almost daily use by our young family and just gets better with age. 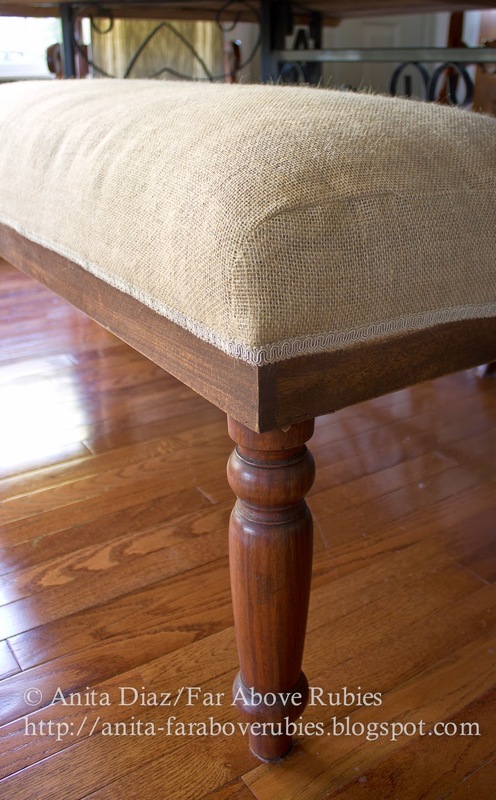 The bench is the same one I had six years ago, but I stripped off the striped fabric then covered it with burlap leaving the frame exposed. I really do love how this room has evolved. It is definitely more *me* than the other space was. ...and it's a wonderful place for us to gather as a family. It's a space we actually use. I also love it because I carved it out of wasted space. "Making something out of nothing," is what my grandmother used to say. Maybe that's why it means so much to me. Thanks so much Anita for sharing this beautiful space with us. I can certainly see why it is a favorite. 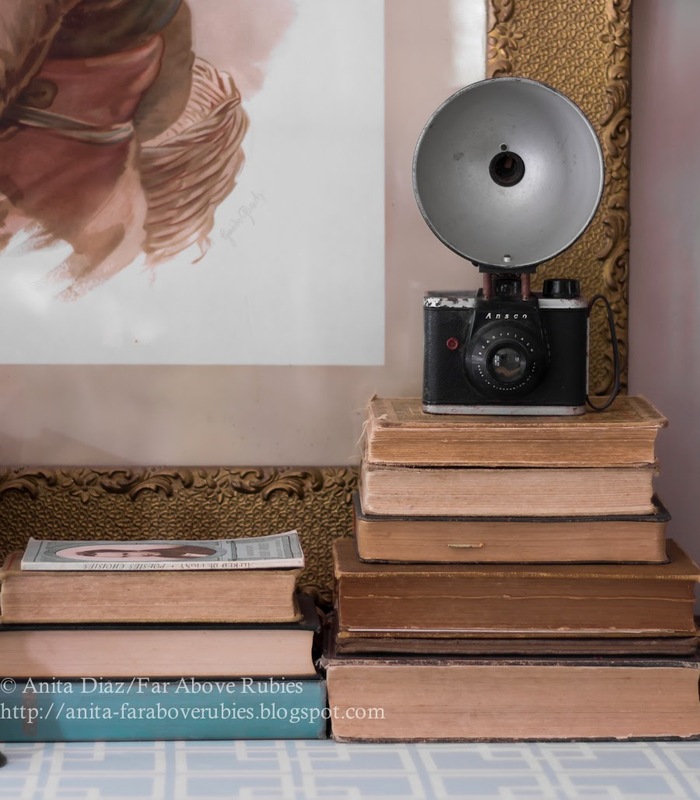 If y'all don't know Anita at Far Above Rubies then you will want to pop on over to see more of her beautiful mountain home filled with family treasures. 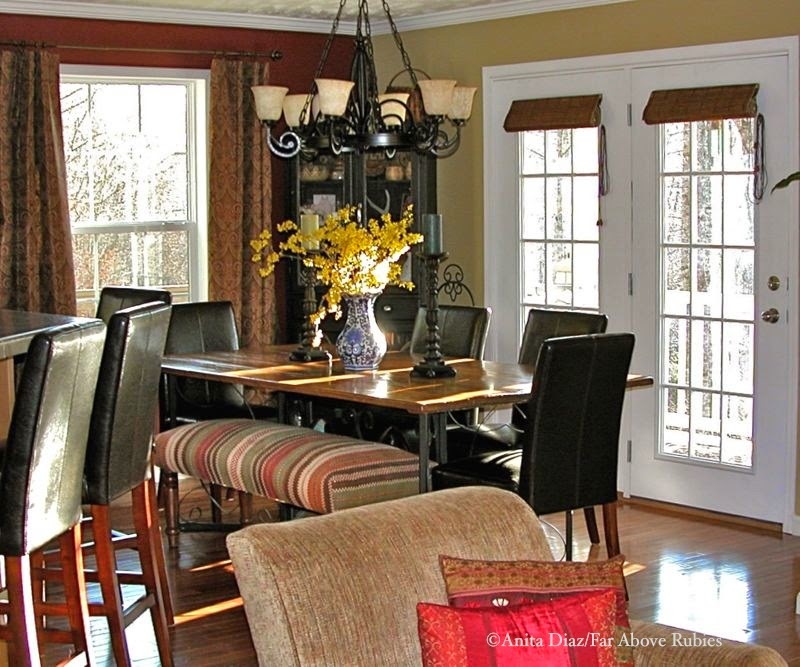 I love your dining space! 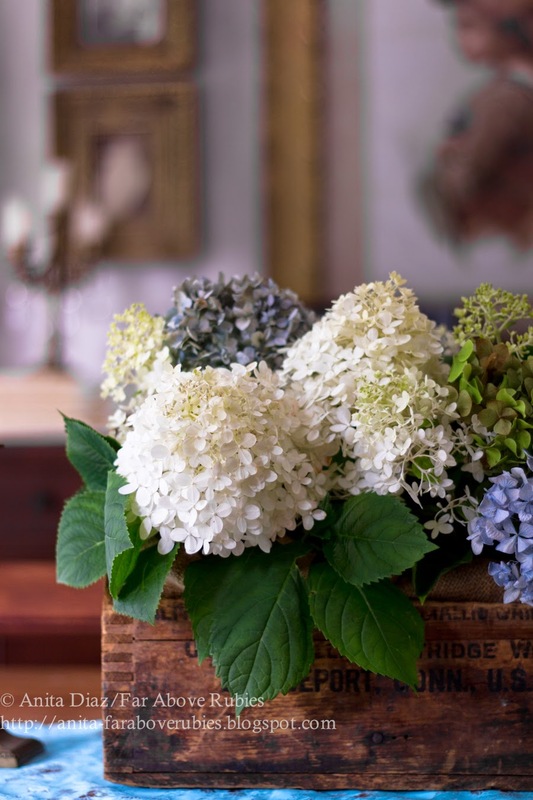 Your Savvy Southern Style is beautiful and inspiring! I love Anita's style. Her dining room is beautiful! 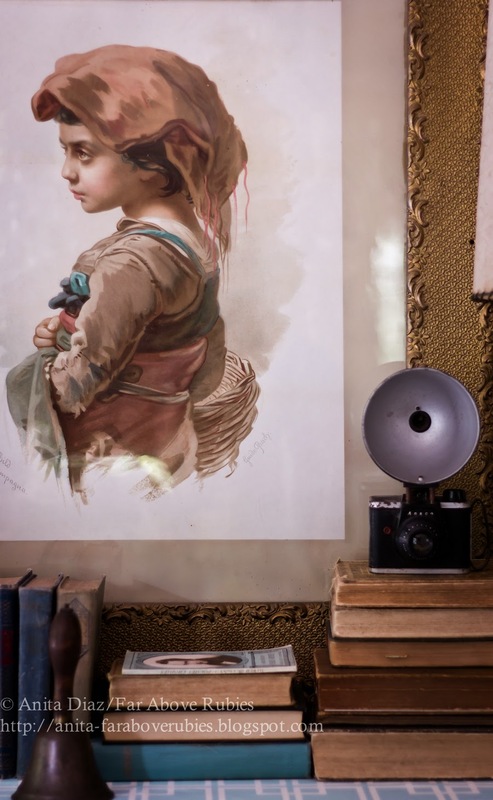 I love Anita's home and style and how she uses so many of her family's heirlooms in her decorating. I love seeing everything she does. Thanks for featuring her, Kim. Beautiful room Anita. Great choice Kim. Thanks for allowing me to wander through ladies. Have a wonderful Friday. Love the switcharoo. 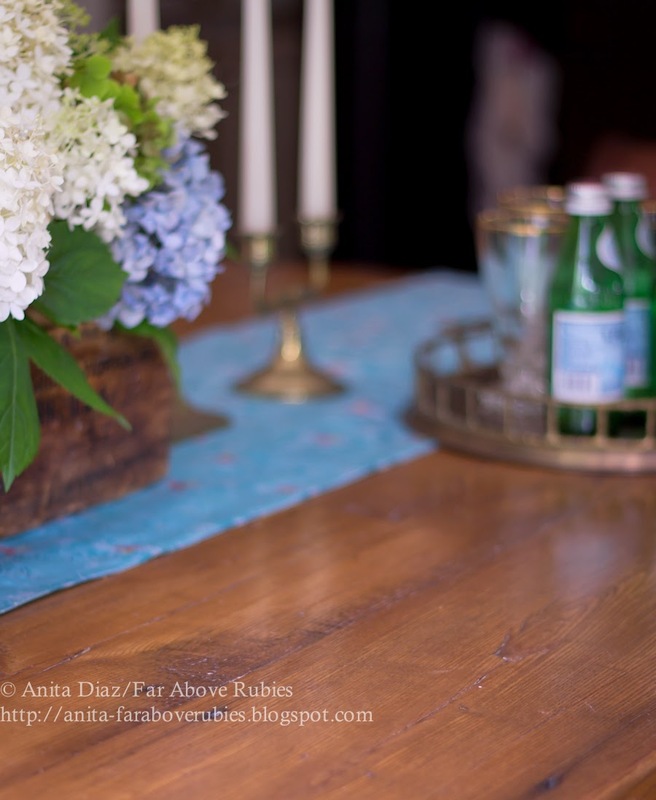 So nice to have all those family treasures to adorn your home Anita. Looks beautiful! Very pretty. 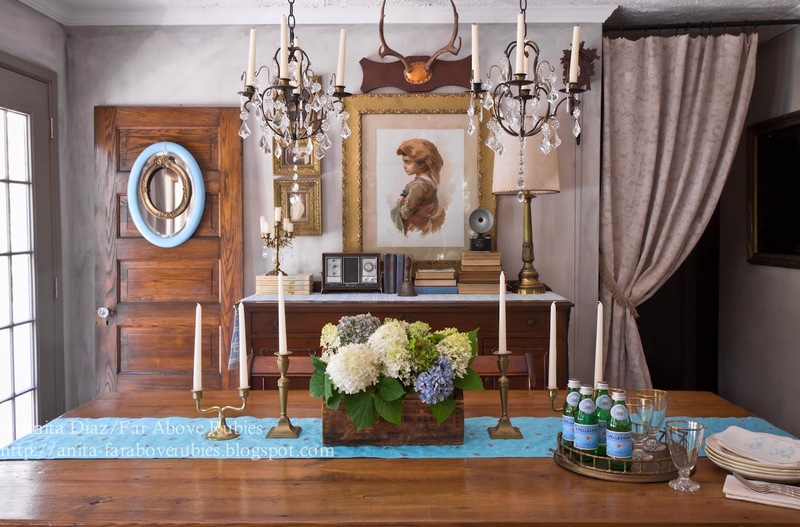 I love that you have stayed true to your decorating style and I love the rich, warm look of your home, particularly your warm antiques that you have left with their "original" beautiful patina. Thanks for sharing! I love a room filled with memories! It looks so pretty and I can almost feel the love! 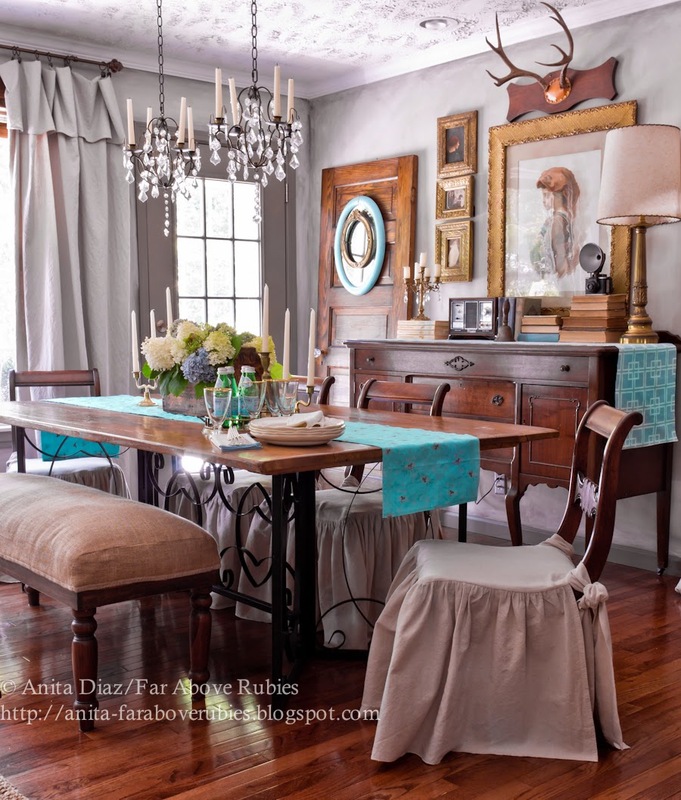 Anita created such a beautiful space...I love all her vintage pieces and accessories!! 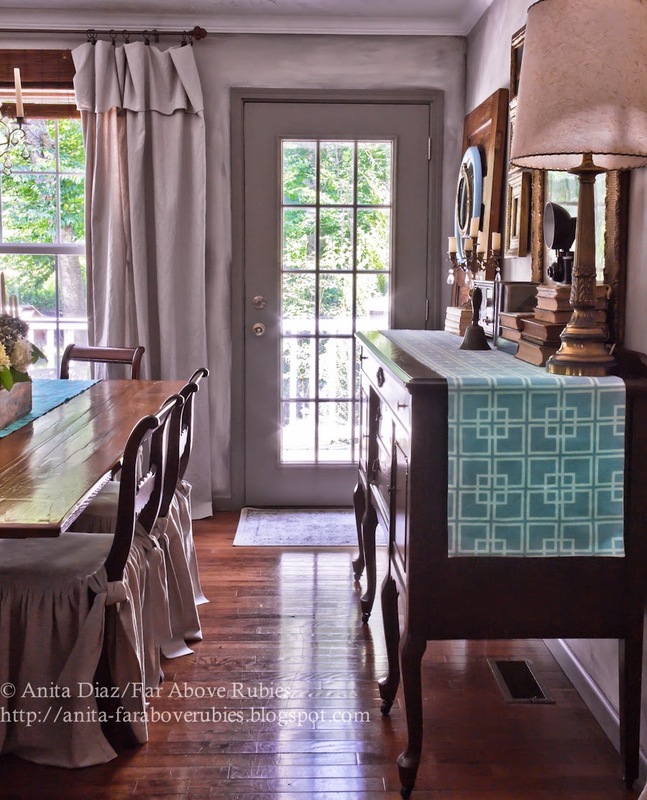 Anita...your dining room is just one more stunning room in your home and I can see why you love it! 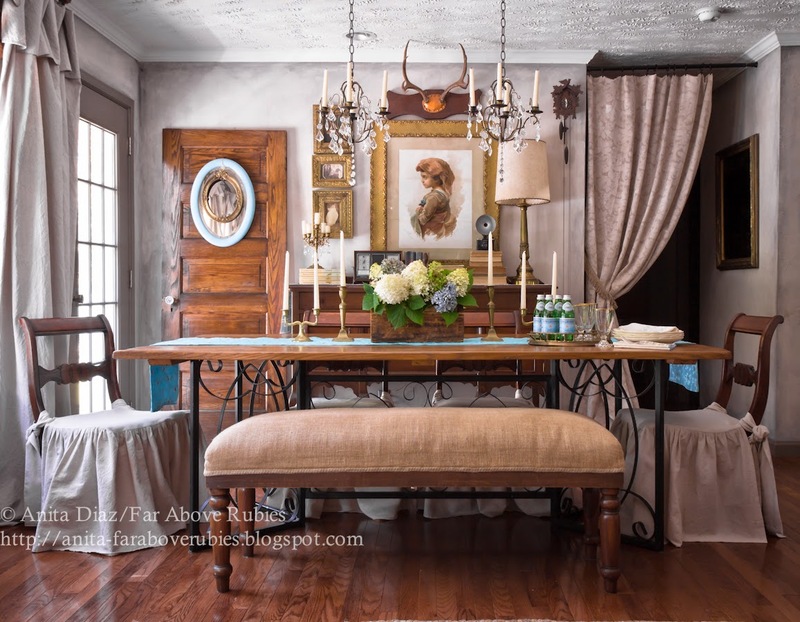 The table and chairs your created are simply lovely, And I'm always in awe of your antiques and family treasures! 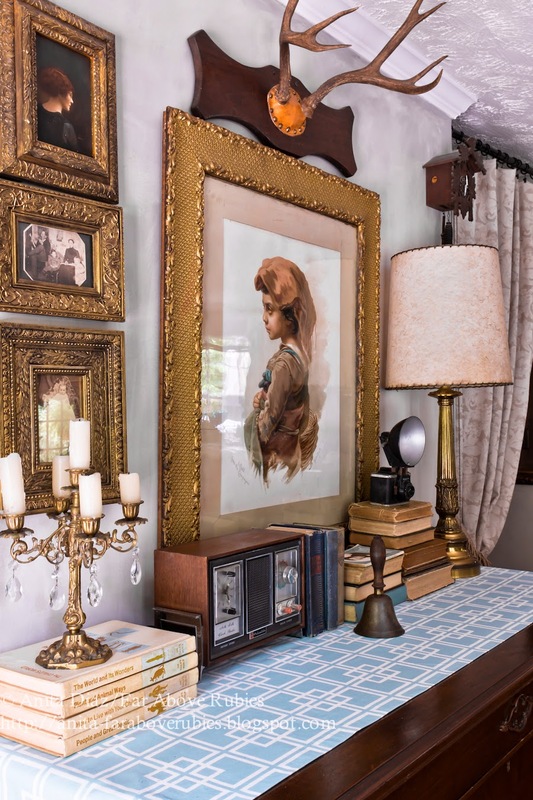 The talent to display family heirlooms and everyday objects and to use space in a smart way make this home truly unique! SO much to admire! Your dining room is gorgeous. I know you enjoy many wonderful family meals there. I LOVE the new color that you have added. Your Mom must have loads of treasures. Enjoy this wonderful mountain weather. 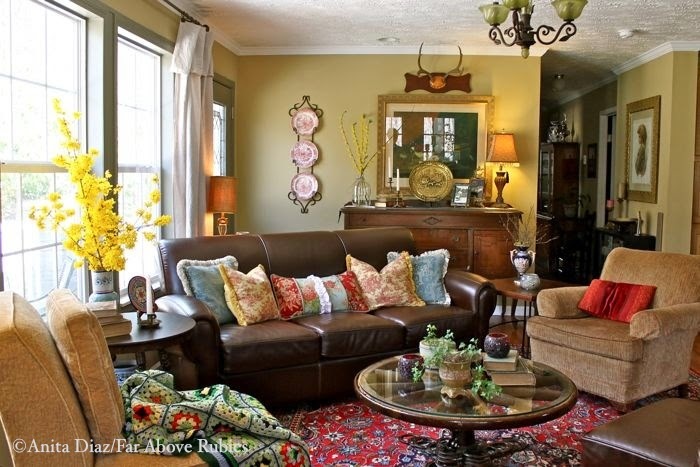 Anita has such a lovely home filled with so many great family pieces! She has such a warm and inviting style. Love the Anita's favorite room. 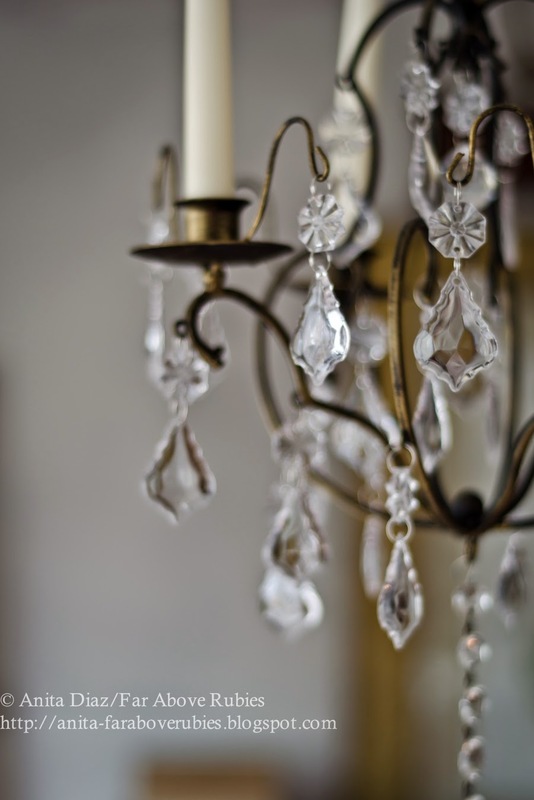 Love that you have so many wonderful family heirlooms. That makes the room even more special. Great choice Kim to feature Anita. 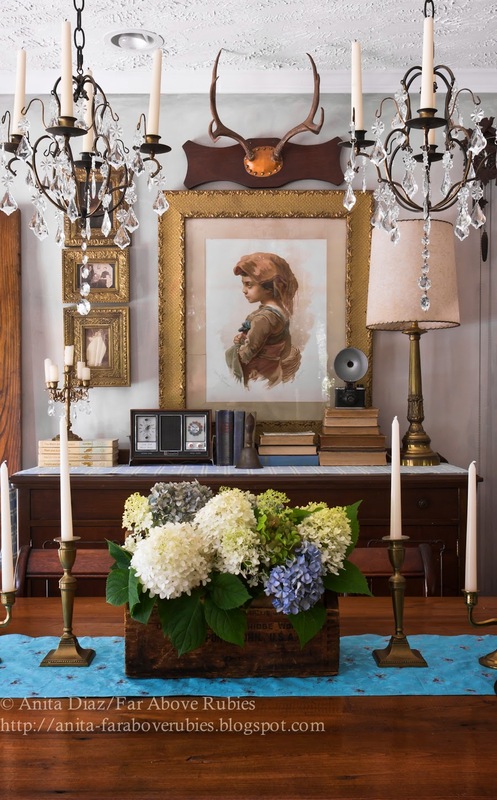 How special to fill a room with family heirlooms! You have done a lovely job in there! 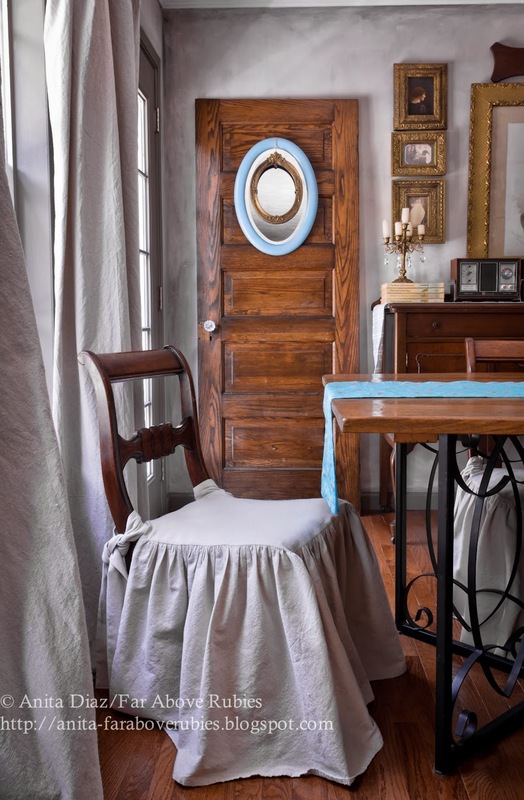 I love the frame hanging on the mirror on the door! I think I will borrow that idea! Thanks for sharing, Kim! Anita's room is just gorgeous! 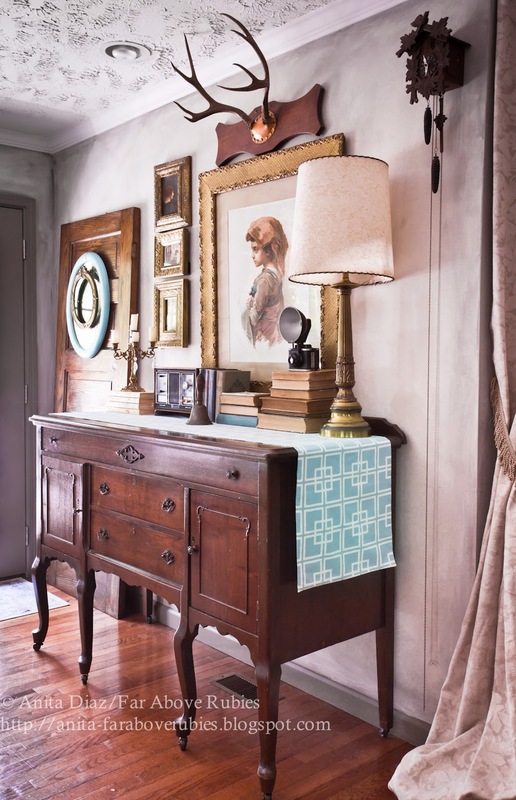 I love her collected style and how she works in family pieces to creat an inviting and loving space. 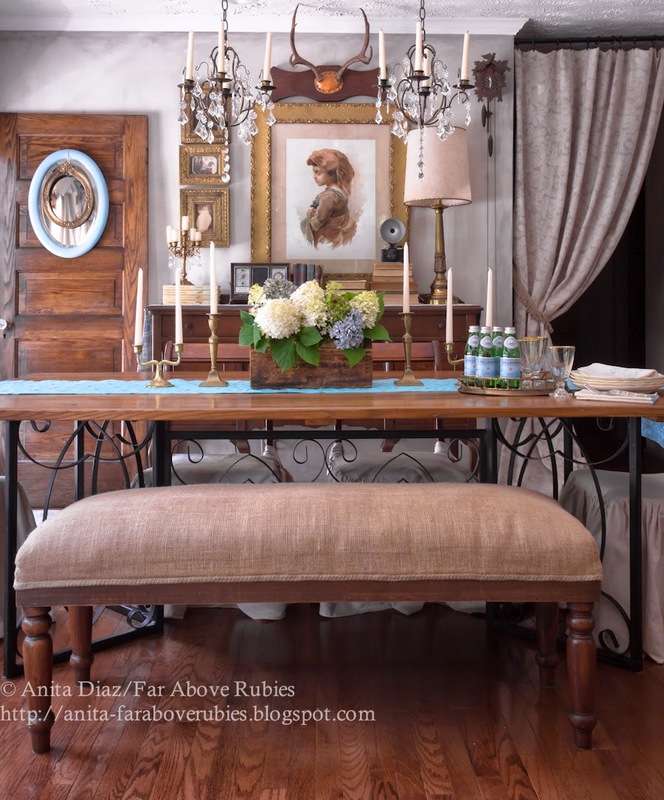 I so love and totally adore Anita's gorgeous dining room!....She certainly turned the new re-purposed space into something so exquisite and functional...Love how she designed the table base...so talented!! !